Why is Facebook Marketplace a big deal? There are several reasons that make the Facebook Marketplace opportunity so interesting for businesses. For starters, we should mention that Facebook Marketplace does not charge listing fees or commissions. This is a game changer any time of the year, and even more so around Q4 when profit margins tend to take a hit. Further, there is great traction to Facebook Marketplace already. One in three Facebook users in the United States are already shopping through Marketplace, according to Facebook’s own data from June 2018. A Tailored Experience. Facebook Marketplace surfaces products relevant to customers by way of a powerful matching algorithm, helping your business find the right customers. Organic Distribution. Merchants’ products on Marketplace will be shown to shoppers organically. For those wanting extra visibility, this can be made possible through Facebook Ads but is not required. No Listing Fees or Commission. We said it before, and we’ll highlight it again because it’s so important: Facebook Marketplace has no listing fees or sales commission. That translates to a higher-margin sales channel and the ability to provide discounted pricing on Facebook Marketplace and Daily Deals. Unlike Amazon and Google Shopping Actions which are primarily search-based ecommerce experiences, Facebook is a browse-based product discovery experience in addition to providing the familiar customer-initiated search-based product discovery experience. The only thing not exciting about this video is my energy level. If I could re-do one thing about this walkthrough, I’d have a strong cup of coffee first! Because what is exciting is this experience. We love the nature of this being a social media platform offering products. It means that casual window shoppers will discover new products they normally wouldn’t have, due to both the algorithm and buying behavior. Once Facebook has recorded the details required for checkout (shipping, billing, etc. ), future purchasing happens in one click. Who’s eligible to sell on Facebook Marketplace? At this point, you’re probably wondering what it takes to get your business listed on Facebook Marketplace and Daily Deals platforms. The answer is that it’s a pretty easy application process for interested brands and authorized resellers. 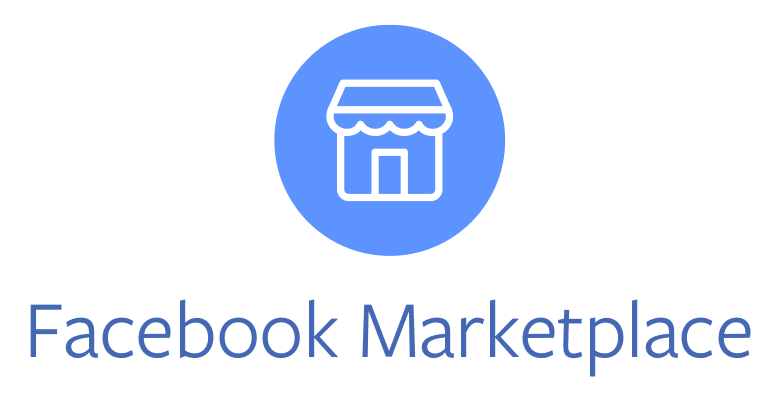 Businesses based in the U.S.
To apply to sell on Facebook Marketplace, simply complete the Marketplace eCommerce Retailer Sign Up Form and select one of the ecommerce partners listed. Note that Zentail is one of the few that currently supports a completion solution for merchants to sell on both Marketplace and Daily Deals offered by Facebook. If you do not receive approval, you can still make your products available for purchase directly on your Facebook Shop as long as your catalog is primarily new products. How can merchants take part in Facebook Daily Deals? Will Facebook Marketplace convert better than my own store? Why would I want to avoid driving traffic to my own webstore? Well, we’re seeing dramatic improvements in conversion rate for checkout that occurs directly on Facebook Marketplace, because the experience is so natural. The onsite checkout really boosts conversion rates, because buyers can complete their purchase without having to leave Facebook to visit the merchant’s site. If you’re an online retailer or brand owner, you can easily leverage selling on Facebook Marketplace to drive discovery and sales of your products in time for Q4 holiday shopping. Qualifying merchants can also participate in Daily Deals to connect limited-time product promotions to shoppers on Facebook. The data across Zentail’s merchant base is extremely compelling from a conversion rate, sales mix diversification and revenue growth perspective. Facebook Marketplace is uniquely positioned as a retailer and brand-friendly channel and should be taken seriously. Daniel Sperling-Horowitz is President and co-founder of Zentail, a multichannel ecommerce platform. Zentail provides a listing tool, inventory and orders management, shipping and 3PL integrations and more. Zentail is a Facebook Marketplace listing partner and provides access to both Facebook Marketplace and Daily Deals sales channels. Have any eBay sellers had any luck here? Can you import listings from other selling platforms? In speaking to the experience within Zentail, the answer is a resounding YES> products can be loaded from other platforms. Within Zentail, this is an simple process that can list and properly categorize your entire catalog within minutes. Also yes: our customers are all multi-channel sellers, and those who have been successful on eBay have also seen success on Facebook Marketplace. Does zentail support multiple account on facebook marketplace under one venture.